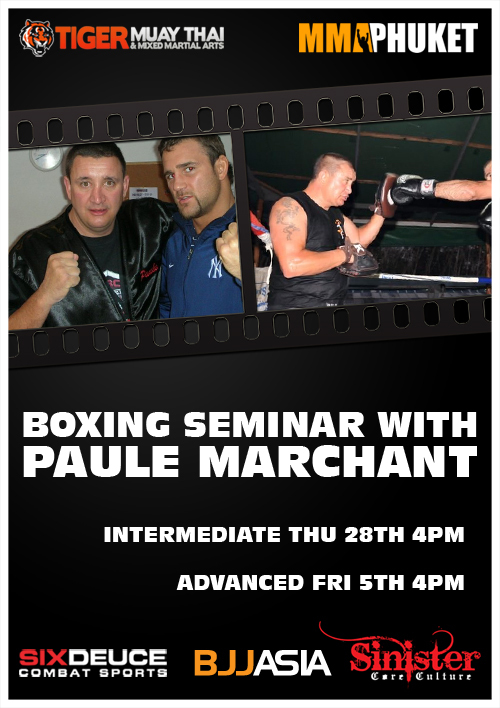 Professional Boxing Coach Paule Marchant will be giving the last of his boxing seminars for TMT as he puts on and Advanced Seminar on February 5th, 2010 @ 4:00 p.m. in the Boxing and MMA training area. Paule’s seminars and training in boxing have been a big hit with guests and pro fighters like Dave Menne and Kyle Kingsbury. Paule teaches boxing all over the world with professional fighters and has a gym “London Thai Fighters” in U.K.